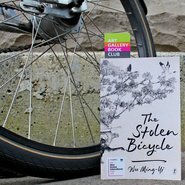 For April/May, our book will be The Stolen Bicycle by Wu Ming-Yi. Join us in the study room for a friendly and open discussion exploring this fascinating and richly detailed novel. The Stolen Bicycle is available from the Gallery Shop. Buy your copy online.